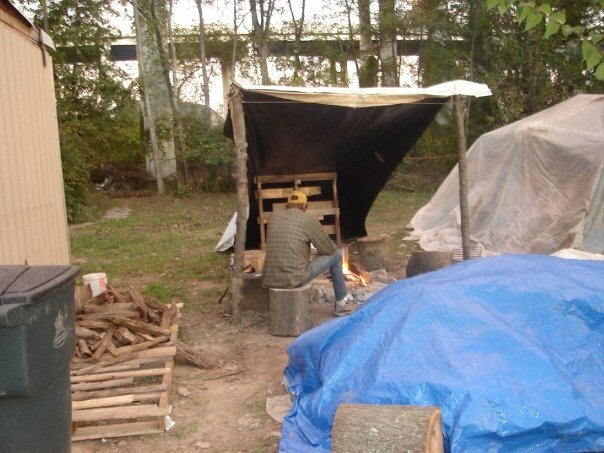 Tent City…nothing more than a wooded area under an overpass by the Cumberland River. 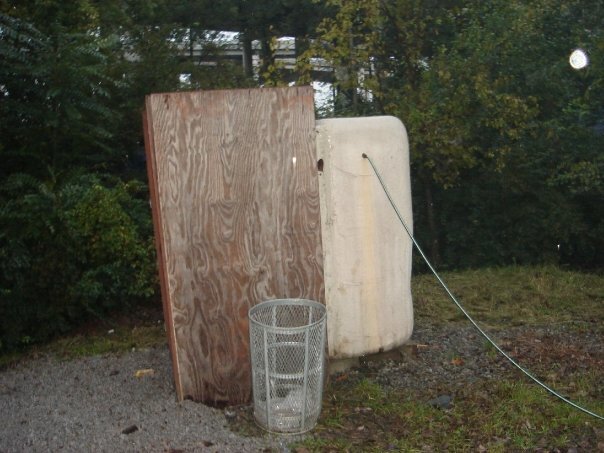 The dwellings are make-shift homes occupied by the homeless of Nashville, with conditions so rough that no children are allowed. But, this “City” is duplicated in almost every major metropolitan area across the country. Our purpose in our weekly visits is to attempt to ‘teach a man to fish’ rather than put Band-Aids on gaping wounds by the feed-n-run system. Not only do we try to provide aid to their stomachs, we have also developed relationships, which led to sharing God’s word, helping to find jobs, and relocating…if they so choose. Unfortunately, whether due to past run-ins with the law, addictions, or more often than not, mental illness; most choose homelessness as their way of life. What a night!! Even though we’ve been going to Tent City every Tuesday night for quite a while now, there is always a new story to tell. Although ‘residents’ seem to rotate with more arriving in Tent City each week, there are a few constants with which we struck up relationships. When we arrived last night, one of the residents was waiting at the ‘entrance’ with Cowboy’s homemade cart to help us carry our supplies back into the camp. And to our great relief, Cowboy hand built a long table out of scrap wood for us to spread the food on and hopefully cut down on the chaos. Cowboy is quite a character, a Vet, and the self-appointed Mayor of the city. 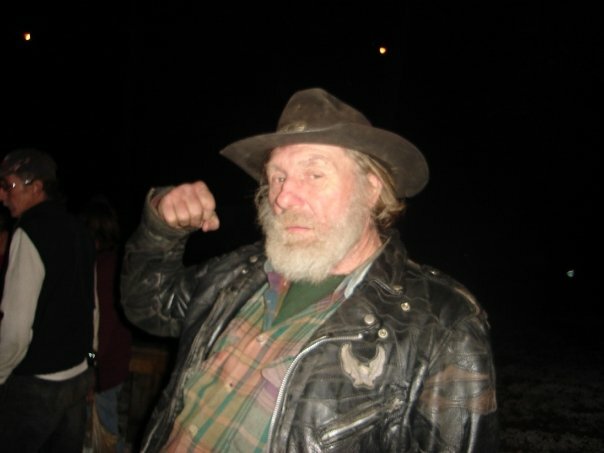 Though he and Rhonda, his “wife”, have resided in Tent City for several years, he gave the impression they traveled up with lots of stories from Texas. Sounds logical. The girl I call ‘Tripper’ (she always seems to be ‘tripping’ on something!) usually crowds in and hugs and touches on everyone. Cowboy’s table normally would have cut down on the physical contact, but she just reached right over and gave me the biggest hug and kept saying how beautiful we were. I do not know about that, but it was her way of showing her great appreciation for the one decent meal she had all day. Every week, someone will offer to pray for the food, usually one of the residents. Last week, Tripper was the one to volunteer to pray! The sad thing is…she really knew the ‘churchy language’ of prayer. Some have been in church enough, and even raised in the church, that they know about religion, but never actually knew about having or developing a real relationship with God. Their lives have taken such a left turn and they are so utterly far away from the Lord, that they find themselves in a very destructive place. Their world is dark, and they are emotionally guarded, but they also long for authentic love. Most residents love to hug, which is very hard for a germaphobe like me, but when I’m there, I forget about everything other than showing someone cares. God cares. They have so much value and worth in His eyes. So, I hug. We all do. We are all out of our comfort zones. We remember they are people, loved people, yet forgotten people. And yet, we always need to be ready for the unexpected. 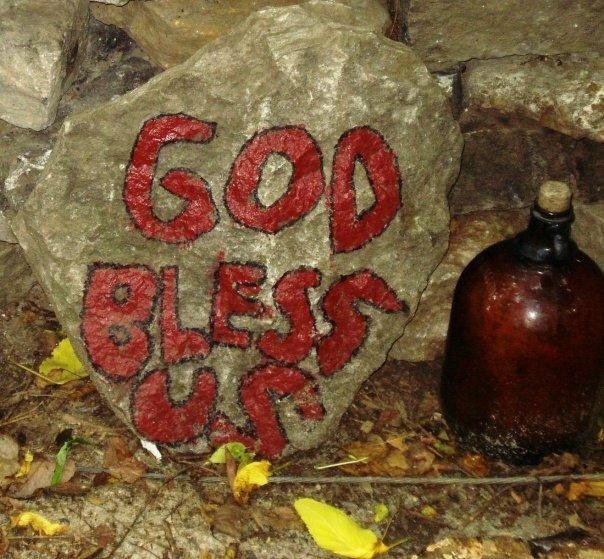 Just last week, Tripper asked if we had lotion…then with total abandon, raised up her shirt to show us her side and stomach, which exposed shingles or some sort of rash…I thought a couple of the guys were going to throw up right there! After we served all of the food, we headed back into the camp to give a couple of the residents some items we saved. One of our favorite couples moved out this last week. Their campsite looks so dark and dreary. We are concerned about the wife as last week she indicated her desire to head to another state where she had family so as to get away from an abusive situation. As we headed down the path on the right side of the fence, Donna and I were invited into the ‘den’ of a couple of the residents. The resident song writer, Jon El, told us to be careful not to fall as we would hurt our ‘baby buggy bumper pads’ if we slid down the muddy hill to the entrance of their camp. I’m sure that phrase was worded into one of his many songs. He tells stories of famous musicians, mostly George Strait, cutting his songs…and all the dreams of his ship coming in. They had a fire-pit with tarps stretched over like a tee-pee. We were gently warned by Howard not to touch the tarp, as if he was protecting us from getting dirty. The fire-pit created a horrible smoke slime on the underside of the tarps (their roof). It’s hard to understand how any of them stay healthy. They called the den their coffee house. Folgers is their favorite, which made me feel guilty for craving my Costa Rican fresh grounds. Later, Karen and I, along with Tim (our official body guard) went to the tent of one who was so very excited to show us the ‘home’ where he and his wife dwelt. He had the excitement of a kid showing us a brand new hot rod his daddy bought for his 16th birthday. 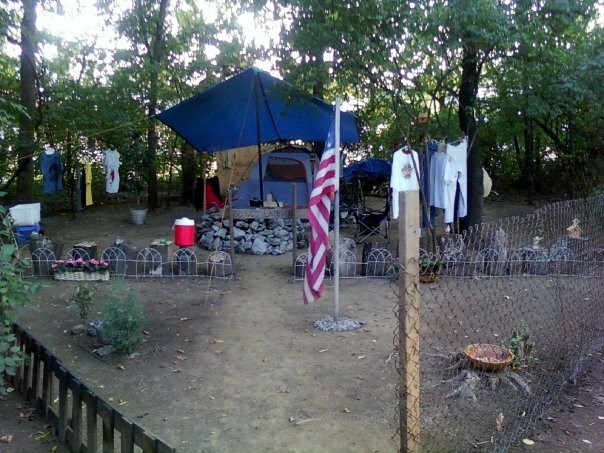 They had a fire pit to cook over, and an old couch and chair in the three room tent. By the bed (a mattress on the ground), he had a TV hooked up to a car battery with a converter box, so as he said with a huge smile, they could watch CNN. Then he ‘showed off’ his heater, starting it by catching a napkin on fire with his lighter. The heater consisted of some sort of blower hooked up to a propane tank, the size of a grill tank. We were amazed at how it worked to heat up their little space. His wife talked of the difficulty she was having looking for a job. Most places hire on line and she does not have access to a computer living in the woods under the overpass. But they are trying to keep up their spirits, and genuinely seem like decent people. We made arrangements to get her to the library for their Internet use. I often remind myself, but for the Grace of God, there go I. What a muddy mess! God in his goodness though, stopped the rain while we were there and as soon as we headed up the path to leave the rain came pouring down! 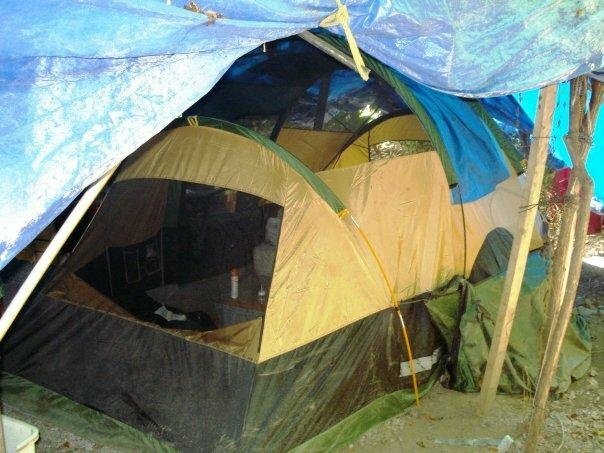 Yes, we should feel guilty…after all; the residents of Tent City do not have a choice but to endure all the elements. Camping 24-7. I thought about what a mess I must look with my hair falling out of the barrette I had it pulled up into. And then, looking around at the surroundings I was standing in, the women there had no curling irons, blow dryers, or mirrors to put on the make-up they don’t even possess. 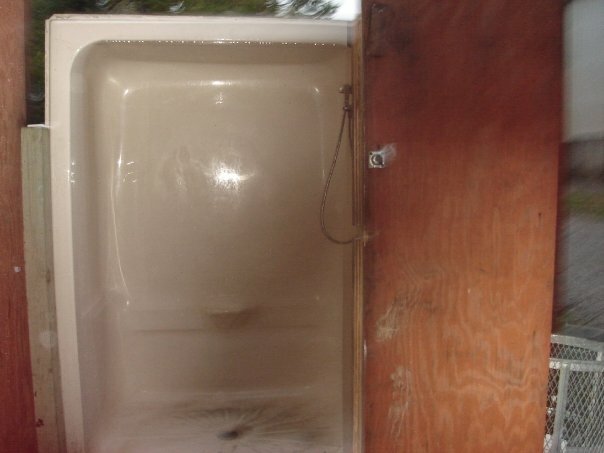 The only shower is an enclosed plastic construction work-site contraption set up along the side of the path, with no privacy I might add. The water is run from a hose connected to a building across the path, and cold (taking a hot shower is the first thing I do when I get home). They have no double vanity, and the toilet is a port-a-potty. Yes, I’d say they look pretty good for the conditions they live in. If I were relegated to live in Tent City…I believe for me, the most depressing matter would be to rarely enjoy a beautiful sunset. As I’m sitting here writing this, I’m looking out my balcony at the pinkish-orange clouds changing colors into reddish-yellow, and dropping below the horizon. Last week we did see a beautiful sunset as we were walking through the clearing of the path on our way out of the camp. This week the sky was gray and dreary. 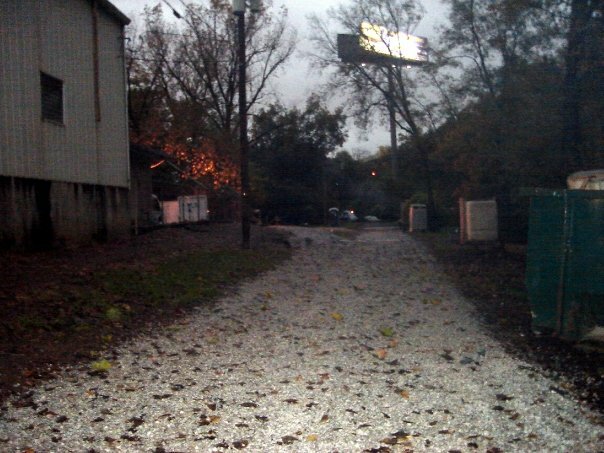 Down the paths of Tent City, the trees by the Cumberland River, the highway overpass, and the elevated train tracks all block any view of God’s colorful sunsets. 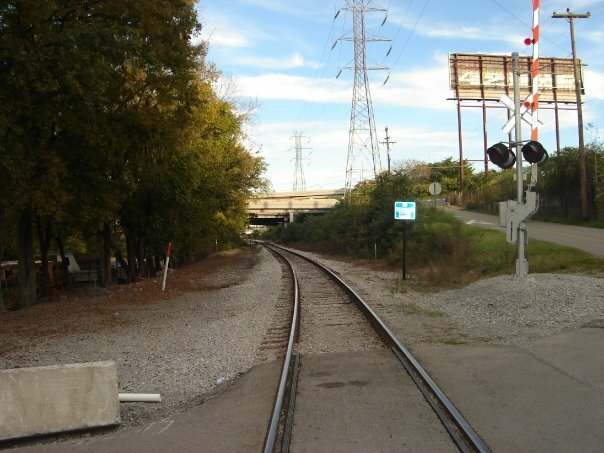 The tracks under the overpass by the Cumberland River…enter Tent City behind the trees to the left. After leaving the homeless at Tent City, I guess the biggest excitement of my evening was dinner at McDonald’s. I did not return home with the rest of the gang as I needed to pick up a friend at the airport who wasn’t due in for a couple of hours. I wanted to stay close to the highway for easy access, and parking is not the greatest on a rainy night in downtown Nashville, (and I felt very stinky from the campsite) so I reluctantly opted for the double arches to kill some time. As I entered the fast food restaurant, I noticed a variety of patrons. There were a couple of families, a few who looked like they just got off work, and then there were a couple of people that looked homeless…my night I guess. Your typical patrons of the Double Arches. As I was mindlessly watching the idiocy of CNN on the restaurant TV, I was distracted by a ruckus at the trash cans. A small man was reaching inside, moving the lid around. At first, I thought he was a worker trying to take the trash to the dumpster, but then he shoved the lid back and walked down the aisle, right past me, complaining (cussing) about the trash not having anything to eat inside. The manager came down the aisle after him and asked what was said. I overheard the homeless man telling the manager he wanted to buy something but only had a couple of dollars. Then the manager escorted him to the front (I couldn’t see the counter as I was sitting in the side dining area). I thought maybe he was escorting him out, but the next thing I knew, the man came back to the area I was sitting with a bag of food and sat down in the booth right next to me! He was facing the TV, watching CNN. After he scarfed down the food, he cleaned up the table better than any employee. After few minutes, he started cussing at the TV and saying something about the government sending his son and all the kids into Afghanistan. The more he talked, the more agitated he became. The next thing I knew, he pulled up his shirt, and though it looked as if he was going to fix his pants, he pulled out a small liquor bottle and took a big swig. He then slipped the bottle back down his pants as if no one observed his actions. I didn’t know whether to laugh or cry. He was in such a sad state. After a while, he started getting too loud, probably half drunk, until the manager finally escorted him out. 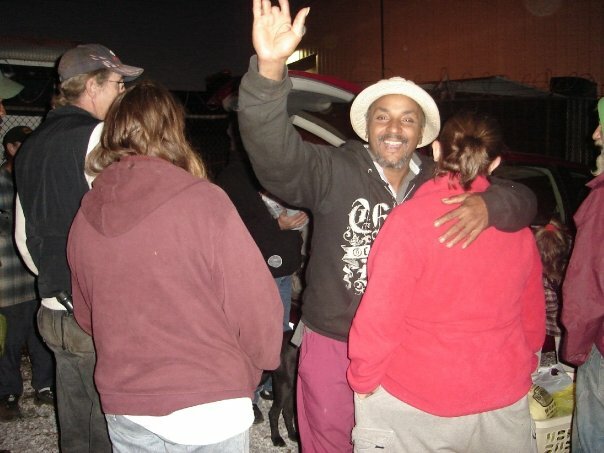 As time permits, I will make an honest attempt to blog about the what/where/why’s of homelessness, as this piece only deals with stories of our activities. 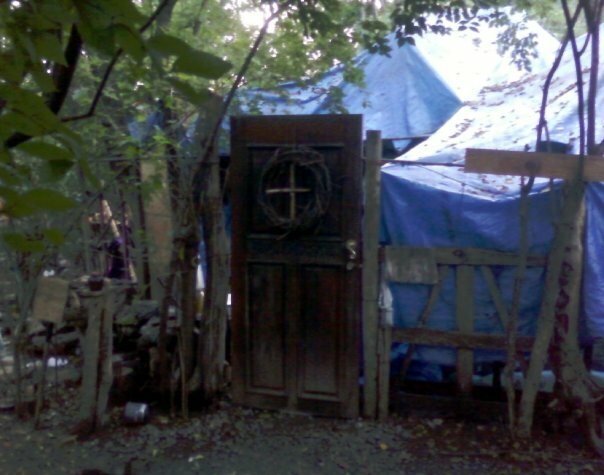 This entry was posted in The Homeless and tagged Christianity, depression, homeless, inspiration, Loneliness, Tent City. Bookmark the permalink. What a thought-provoking and honest post! 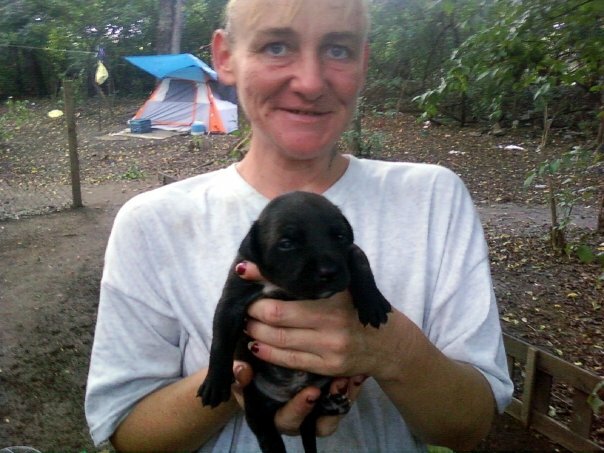 I have ministered in rescue missions, but never in a tent city. Thank you for the interesting and encouraging visit, Voice of Restoration! This was just beautiful. Good writing, and more importantly, good job actively serving in God’s name. It isn’t as common as one might think. Thank you! Thank you Bird. Hopefully, somehow, we can inspire others to love the down-n-out. You are a great inspiration! !